After working several years in the IT industry, James saw a chance and took it. Why not apply what you do every day to something that you are truly passionate about? James lives and breathes all things automotive. He has owned numerous cars from the infamous camouflaged MKIV R32, to a super clean bagged B8 S4 on Work Meisters. 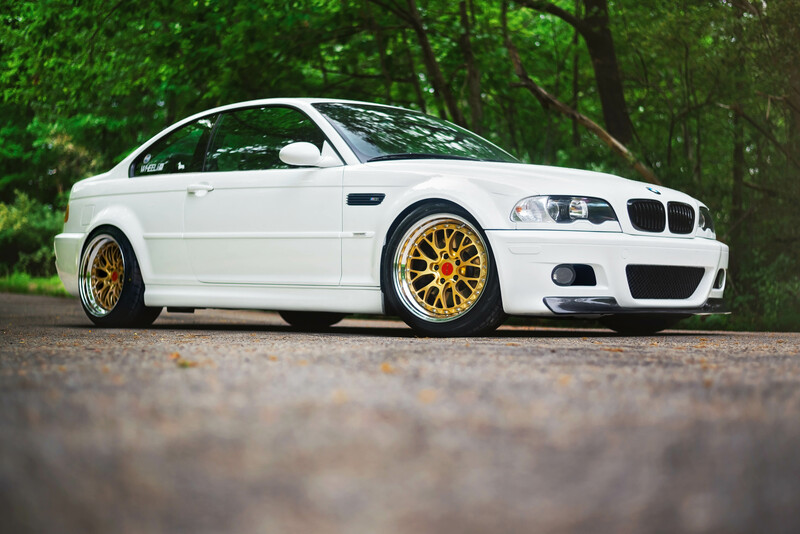 He currently drives an E46 M3 on three-piece Rotiform LSRs and basically aspires to be a hoarder of pristine-quality fun cars. Melissa helped in founding Wheel Lab with her husband, James, while building a Stage II MK5 Jetta TDI. She has brought her media/marketing experience to the table after running her own business as a freelance photographer and has been published numerous times in Performance VW Magazine. Melissa was the Director of Operations at Perfect Stance prior to this. 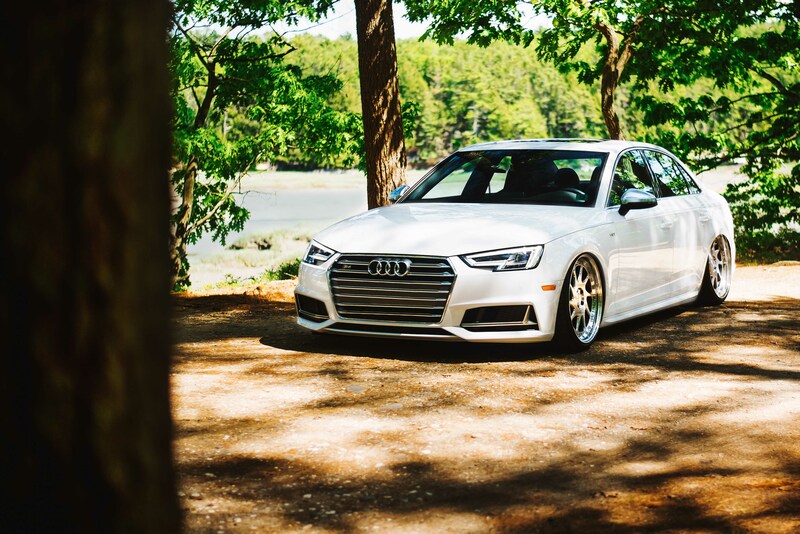 She had APR Stage II MK7 Golf R, but now drives the first bagged B9 S4 in the United States. Joe started off at Wheel Lab in 2015 when he volunteered to help us out with Instagram. This snowballed to the point where he became the Digital Content Manager in 2017. Joe built a 2012 Passat with two piece SevenK Zeus wheels, a shaved trunk and hood, a one-off badge-less grille, frame notch, and a wrapped roof. The car was bagged on Air Lift V2 with Slam Series and Performance series bags. Now, he drives a Mustang, and we’re just getting started with it. Stay tuned to see what happens next! Brendan joined Wheel Lab as our Intern in the fall of 2017. Like many of us, he has had an obsession with cars from a very young age (having a lot of Matchbox Cars definitely helped). He enjoys everything from fixing them, washing them, and just cruising with friends. 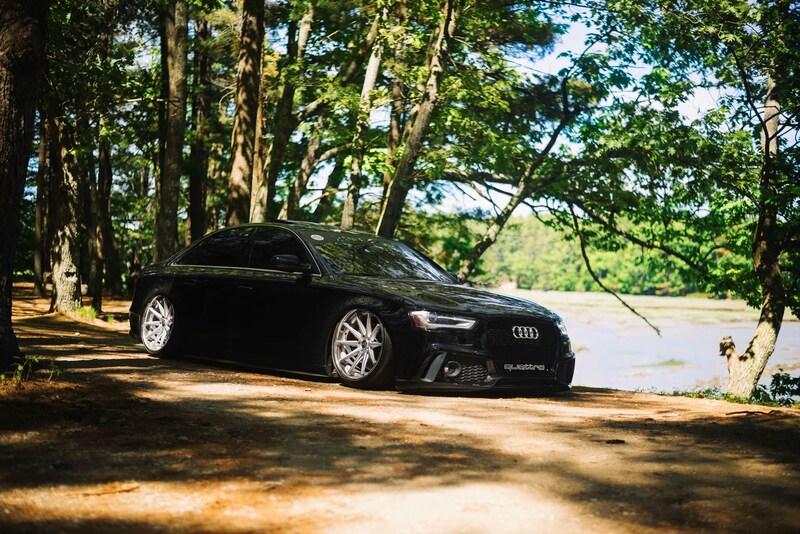 He currently drives an APR Stage 2, bagged, 2013 Audi A4 with the Caractre front bumper, carbon fiber diffuser and spoilers, custom exhaust, and Strafe Design side skirts. The car is fitted on a set of 20×10 Rohana RC10s and has an AASCO lightweight flywheel, Southbend Stage 2 clutch, K&N intake, and forge blow off valve. His car is a direct outlet of his creativity and finds it to be a unique way to express himself. Dario came on board in 2017. He is the owner of the Yoga Pants and Stance blog and collaborated with Melissa back during their Perfect Stance days. 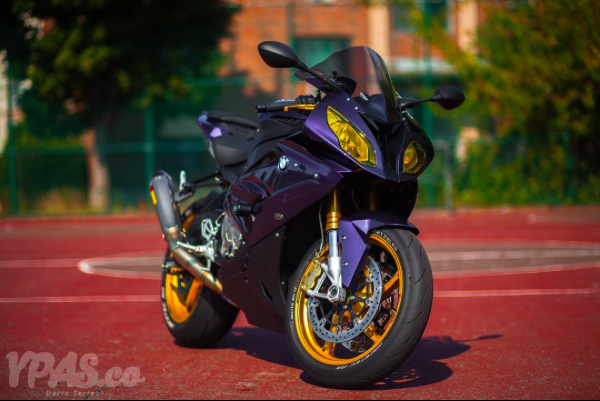 He drives a 2017 Techno Violet BMW S1000rr with a full Akraprovic exhaust, Rapid Bike ECU, ASV levers, TRM gas cap, R&G frame sliders, DMP integrated tail light, and flush mount blinkers.